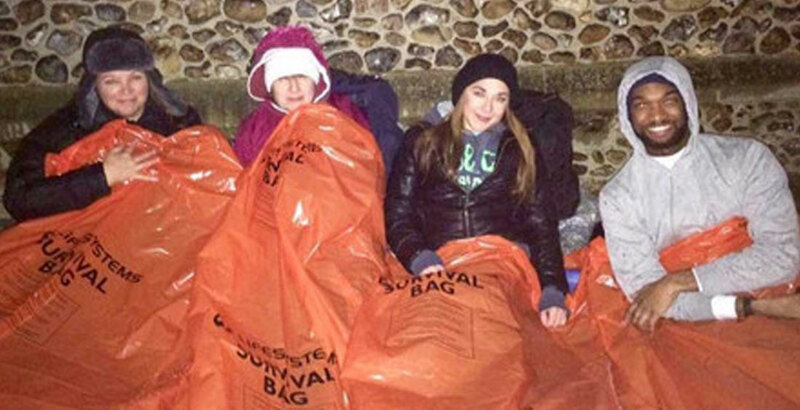 Every year CHESS hosts its own Sleep Out in the grounds of Chelmsford Cathedral and last year’s participants raised over £16,000 for us. This year we would like to raise even more and make it even bigger. Therefore, why not join us and experience what it is like to sleep rough for a night. Anyone can take part, however people under 18 cannot take part individually. A responsible adult must complete the registration for minors either on line or on the night and accompany them for the sleep out. By getting involved, you will help CHESS to support more people on a journey towards moving away from homelessness, from getting off the streets, to living in a new home and learning new skills and securing employment. The money you raise will help vulnerable local people to live independently and help CHESS reach their aims in continuing to change lives. To find out more information about the event and how you can get involved click here.